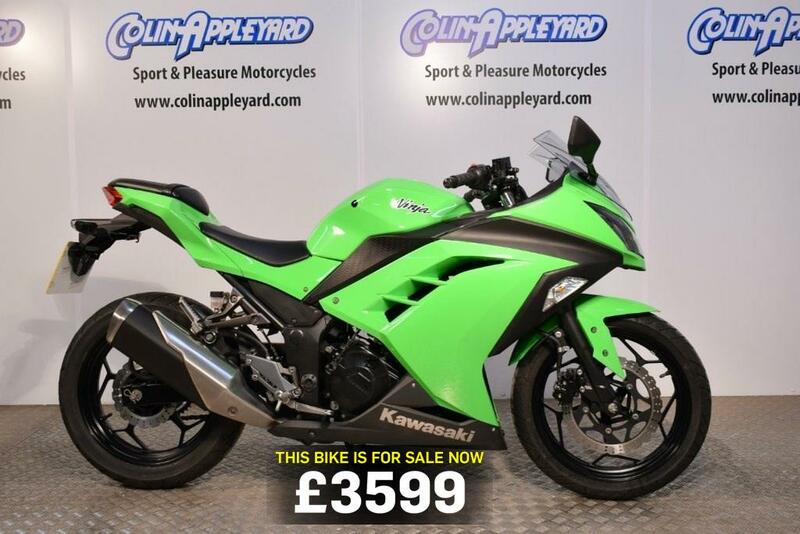 This 2015 Kawasaki Ninja 300 is a great option for those with a little less experience, or even riders who don't want to risk their licence every time they go out, which makes it today's bike of the day. "Attractive, green, A2 license friendly bike that is ideal for everyday use but doesn't compromise on looks by any means. For £3,599 and 3 months warranty for £199 it has only 2 owners, 6,284 miles riden, clean bodywork and full service history." "Kawasaki hit the nail on the head with the Ninja 300. The parallel twin four-stroke engine might not have the thrill of a two-stroke but it still packs a punch and loves to rev, which makes it ideal for new and experienced riders alike. It's a comfortable, practical bike that knows how to have fun, too." Check out this Ducati and other Ninja 300 motorcycles for sale here.